Acting on an anonymous tip, law enforcement officers broke up a cockfighting tournament taking place east of Santa Maria on Sunday, according to the Santa Barbara County Sheriff’s Office. The tournament allegedly attracted individuals from Los Angeles, Santa Barbara and San Luis Obispo counties. 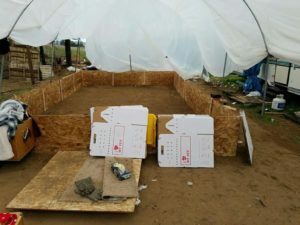 Around 10:45 a.m. Sunday, sheriff’s deputies, along with Santa Maria police and CHP officers, raided a cockfight in progress at a farm located in the 3500 block of Telephone Road. When officers arrived, they found a large number of vehicles and observed 40 to 50 people gathered under a plastic covering where they were surrounding a 10-by-15-foot ring. The onlookers scattered and tried to flee by foot when they saw law enforcement personnel. Authorities detained 11 people and cited them for being spectators at a cockfight, as well as for resisting or delaying a peace officer. Several of the suspects were also cited for possession of cockfighting paraphernalia. Deputies searched the property and found six dead roosters, as well as 15 to 20 living roosters in cages and two injured roosters that had just taken part in a cockfight. Santa Barbara County Animal Services personnel responded and took possession of all of the roosters. Animal Services workers will euthanize the two injured birds. During the search, deputies also found cockfighting blades, suture kits, betting slips, a scale and other gambling-related items. After the sheriff’s office received the anonymous tip about the cockfight, Rural Crimes Detective John McCarthy determined the time and location of the fight. McCarthy said he is very appreciative of the citizen who gave the sheriff’s office the tip. “Because of this anonymous tip we were able to stop this horrific cruelty to animals and apprehend some of those responsible,” McCarthy said. Investigators have determined some of the bets placed during Sunday’s tournament were as large as $12,000. 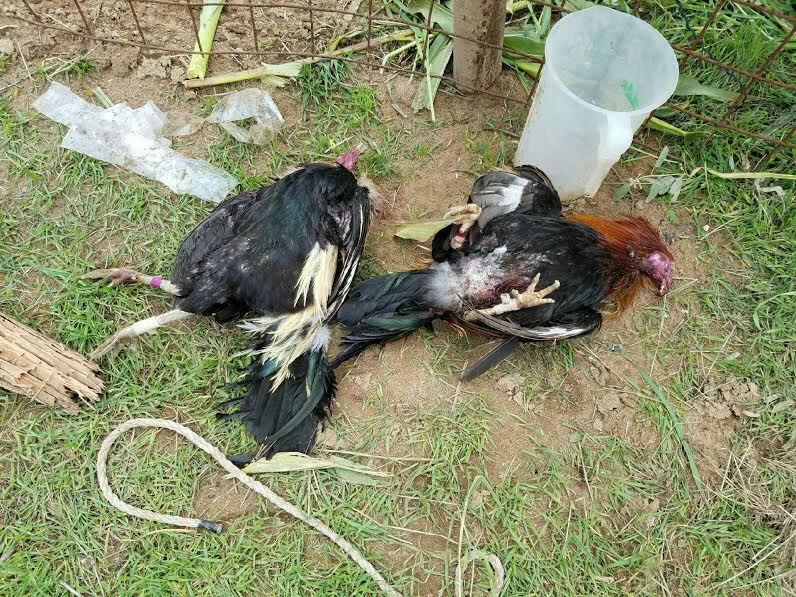 An investigation into the cockfighting case is ongoing. The sheriff’s office encourages residents to report any cockfighting activity to law enforcement by calling (805) 681-4171. For all you who think this disgusting but love your chicken nuggets where 99% come from factory farms are hypocrites. Welcome to Santa Maria, a Sanctuary City. While I applaud the Santa Barbara County Sheriffs Office for raiding this despicable act, I wonder why the City of Santa Maria Police Department doesn’t do more to end this behavior? Santa Maria City officials, in a nod to their Sanctuary City policies, just refuse to enforce the rules on the farmers illegal alien workforce. Santa Maria has become unlivable since our so-called leaders sold us out, and people like Alice Patino ought to be ashamed of themselves. Why wasn’t the farm and farm owner identified? It is highly doubtful that the owner of this property didn’t know what his property was being used for, and I fail to understand why law enforcement doesn’t go after the property owners aggressively. Santa Maria will fail until the leaders serve the taxpaying public, not the farmers and their illegal aliens. Also, as a resident in the Nipomo Mesa area during the 1980’s, I can guarantee that cockfighting is not a recent thing bought on by Santa Maria being a sanctuary city. They had cockfights in the Eucalyptus forest where Monarch Dunes is now located on a regular basis and there were frequent busts of them doing it. When Animal Rights and Cultural Traditions Clash…. More like a lack of culture to see animals slaughter each other and add razor blades.